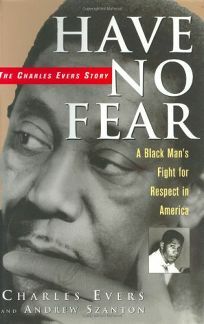 After his youngest brother, civil rights leader Medgar Evers, was murdered in 1963, outspoken, flamboyant Charles Evers carried the torch, running the Mississippi branch of the NAACP, integrating schools and hotels, organizing voter registration drives and boycotts, facing down the Ku Klux Klan. In 1969 he became the first black mayor in a century of the biracial Mississippi town of Fayette. A gripping autobiography, assembled by freelance writer Szanton from dozens of interviews with Evers, this first-person narrative brings to light an unsung, politically incorrect civil rights hero. Evers offers a searing account of growing up in Mississippi, ""lynching capital of the country,"" in the 1920s and '30s. During WWII he fought in the invasion of the Philippines. Disc jockey, cafe proprietor, mortician, shopping center owner, he was also a numbers runner for the Chicago mob, a whorehouse owner and a bootlegger in the 1950s and early '60s. Father of eight daughters by four mothers, twice-divorced Evers has been a friend of Martin Luther King, Nelson Rockefeller, bluesmen Muddy Waters and B.B. King, Alabama's segregationist governor George Wallace (with whom he sought common ground), and informal adviser to JFK, LBJ, Robert Kennedy, Nixon. In 1980 he endorsed Reagan and later became a Republican. Today, as blunt and unpredictable as ever, he ridicules ""hustler"" Jesse Jackson, Jimmy Carter, Afrocentrism, Louis Farrakhan and blacks who blame their economic problems on whites. Author tour. (Jan.) FYI: Publication coincidentally ties in with the opening of Ghosts of Mississippi, a film about Medgar Evers and his family starring Whoopi Goldberg, Alec Baldwin and James Woods.